Spring construction season is underway, and many tons of concrete will be used in the coming months. Unfortunately, concrete is a brittle material: Placed under stress, it cannot bend very far before it fractures. Some pavements that are being poured now will crack within a few years and require expensive repairs. New concrete will be mixed, and the cycle will start again. But a better solution is in view. 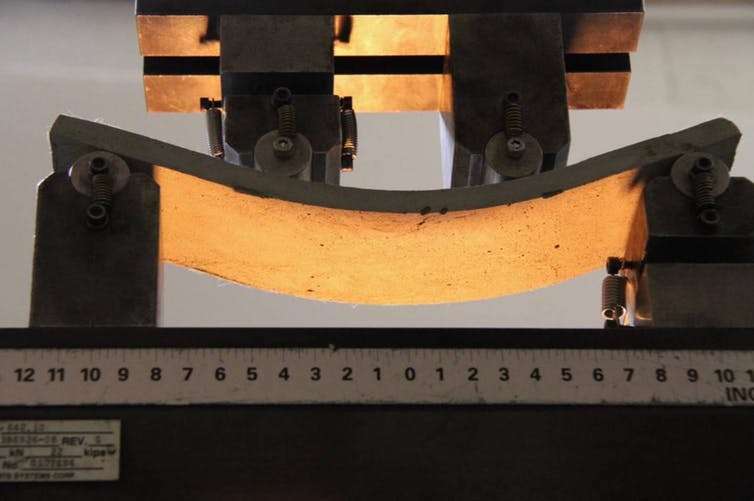 My laboratory at the University of Michigan, along with many other laboratories around the world, has shown it is possible to make concrete more ductile – that is, bendable without fracturing. Bendable concrete makes infrastructure safer, extends its service life and reduces maintenance costs and resource use. Civil infrastructure very rarely fails because it lacks compressive strength – the ability to bear loads that push it together, as when columns support the weight of a building. Most failures occur because structures do not have enough capacity to carry tensile load – the ability to deform or stretch without rupturing – even though steel reinforcements often are added to concrete to prevent catastrophic structural failure. Many serious concerns about the woeful state of U.S. infrastructure can be traced back to concrete’s brittleness. Cracks in concrete can reduce a structure’s usable life. They also weaken it and make it less resilient against natural forces, such as earthquakes or tornadoes, or man-made forces, such as bomb blasts in terrorist attacks. For example, 52 people died in the 1989 Loma Prieta earthquake in Northern California due to building and freeway collapses. 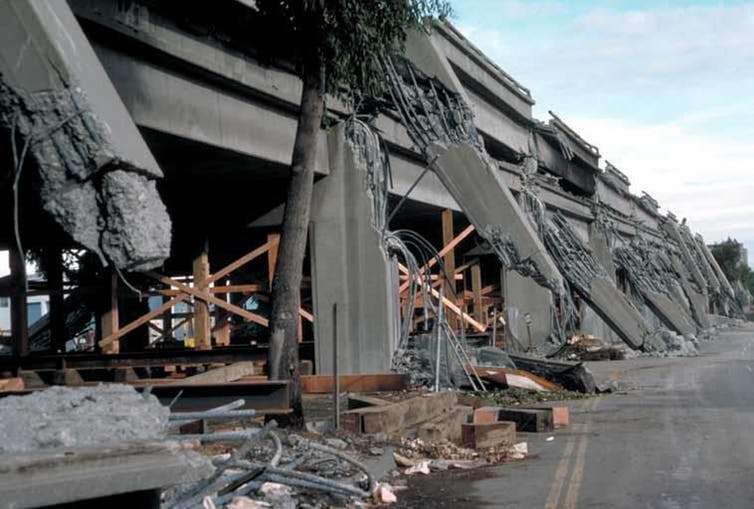 Major freeways also sustained heavy damage in the 1994 Northridge earthquake in Los Angeles, including one that had been rebuilt after a quake in 1971. If the quake had occurred during a weekday rush hour, rather than at 4:30 a.m. on a Monday holiday, the results could have been catastrophic. Repeated infrastructure repairs and rebuilds use enormous quantities of materials and energy. Studies have shown that the carbon and energy footprints of frequent repair events, and the social and economic costs they generate, far exceed those associated with initial construction. We all pay these costs in time stuck in traffic jams, higher taxes and polluted air. 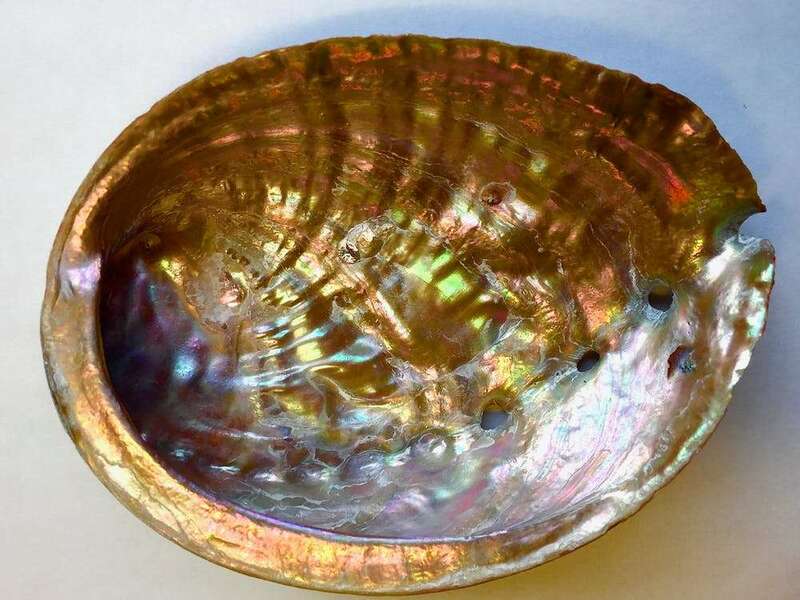 To develop ductile concrete, our laboratory borrowed ideas from nacre, also known as mother of pearl – the iridescent material on the inside of abalone shells.